Vanessa specializes in the human animal bond. She strives to keep the dog happy and healthy by going at the dog’s pace only using positive reinforcement methods. Vanessa has been involved in the dog world her whole life. She studied animal and human behavior and psychology at Colorado State University for 4 years, achieving a Bachelor of Science in Psychology. Her coursework included studying under Temple Grandin, a specialist in animal behavior. In conjunction, she volunteered through the Pets Forever Program at CSU where she trained and walked dogs for low income and disabled individuals. Her professional career started as a kennel technician at a boarding and daycare resort in Texas. She was able to achieve her true passion, training, at a pet resort in Fort Collins, Colorado. She has been working professionally with dogs for 2 years and has been involved in training since childhood. She has advised and supervised the training for several therapy and emotional support dogs. Additionally, she has trained a service dog that has gone on to support her handler to allow her to live a functional life. Vanessa loves to train basic commands, but her true passion is teaching the harder tricks. Her favorite tricks are asking her dog to get the lights or a tissue. Her mix, Koda, is her forever traveling companion. They love to go hiking, biking, and traveling all over the U.S.
Training is just one of our services at Club Pet Resorts. We also offer dog daycare, day boarding, and standard boarding options, so your dog can come home tired and happy. Sabrina is one of the top Managers of the Facility at Club Pet Resorts. She has been on the Club Pet Team since 2014 and has worked in the pet industry 7 years. Sabrina is an Animal Behavior College (ABC) Graduate and specializes in helping the Club Pet Team work with dogs that maybe shy or scared at first. During her time at Animal Behavior College, Sabrina’s mentor specialized in professional nose work and agility dog training. Sabrina loves working with the challenging dogs, especially in Dog Daycare. Sabrina is adept at finding creative solutions and alternative methods to fix problem behaviors using positive reinforcement training. 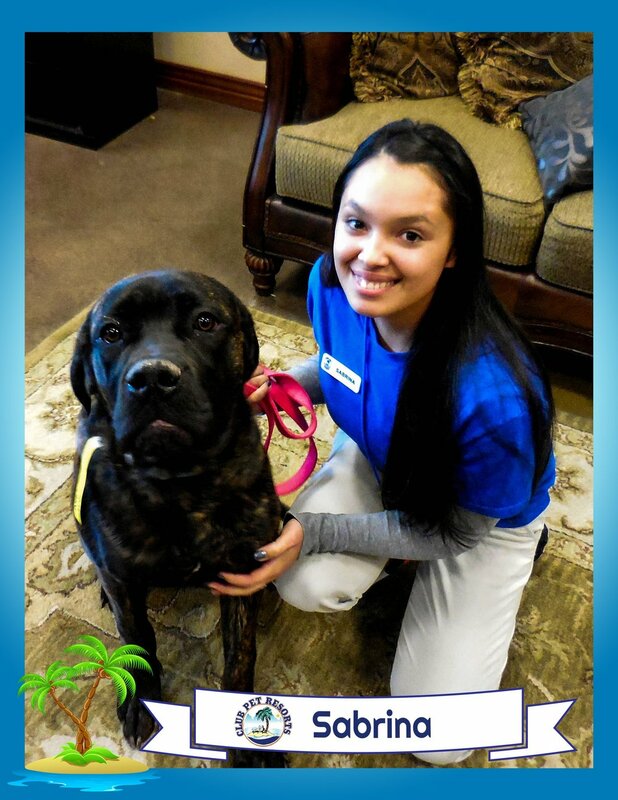 Amanda is one of the top Supervisors at Club Pet Resorts. Three years ago, Amanda left her career path in the Fashion Industry because she fell in love with Dog Training and Animal Care. In June 2018, she joined the Club Pet Team as an Animal Welfare Supervisor because of her broad knowledge of Animal Care. Maya, her rescue, is her training partner and Amanda is currently training her six month old puppy, Kari, to be an Emotional Support Animal. Amanda's training goal is to better dogs' lives by educating owners on how to effectively communicate with their companions so that both can live happily and harmoniously.